The director of a Greater London car dealership has been jailed for the sale of two unsafe cars. 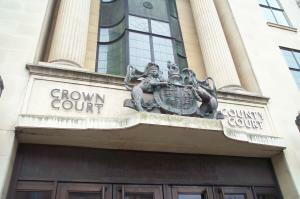 Imran Kayani, the director of Essex and East London Cars in Ilford, was found guilty at Snaresbrook Crown Court of selling cars to customers that had been poorly repaired following serious accidents. While most car dealers ensure that the cars they sell are in a good driving condition, there are those that don’t meet this requirement. Failing to ensure the safety of vehicles sold will not only lead to the risk of a legal punishment, but also impact a dealership’s ability to find cheap motor trade insurance in the future, with many insurers reluctant to offer a policy to someone with a record of criminal offences. Mr Kayani failed to disclose to both customers that their cars had been in major accidents, which is contrary to the Consumer Protection from Unfair Trading Regulations 2008. It was found that in one case he completely failed to inform the new owner of the car’s previous accident, and in the other, he said the vehicle had been a category C insurance total loss but falsely claimed that this was due to a light scrape to one side. The defects in repair work were only discovered when recovery providers inspected the vehicles after they had broken down. Mr Kayani was sentenced to six months for both offences to run consecutively.